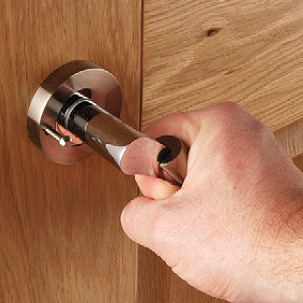 The Carlisle Brass Delamain 102mm (4") Tubular Mortice Latch Polished Brass is ideal for knob furniture as the springing is particularly suited to un-sprung knob furniture, such as the Delamain range from Carlisle Brass. This latch has a steel case and solid brass latchbolt; the forend and strike plates are finished with polished brass. Some of these variations can be found in the related products. PLEASE NOTE - the 63mm version is NOT pierced to accept back to back fixings, for levers on a rose, use the 76mm version. The patented dual spring mechanism ensures a smooth and quiet operation. One spring controls the latch return whilst a second spring controls the spindle return.